The Pretty on Pinterest theme for this week is Chocolate. Just in case you have no idea what Pretty on Pinterest is I explained last week why I love Pinterest and what Pretty on Pinterest is. The theme last week was Black and White and it was pretty cool :). 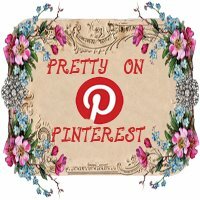 Pretty on Pinterest is hosted by Simply Stacie and SassyMama in LA so be sure and check out their posts too! Are you participating in Pretty on Pinterest this week? Link up your post here! Okay drool worthy post yummy!!!! Don't Ever Let Anyone Dull Your Sparkle! What should I wear to #Blissdom?? I'm Going to Blissdom in Nashville! $500 Target Gift Card Giveaway! !